Where does Jack Grealish's future lie? Jack Grealish may not be long for hometown club Aston Villa. Several Premier League clubs appear set to fight over him this summer. The 23-year-old has injected life into Villa’s promotion bid this season. He faces a difficult decision if the Villans can't see it through. Grealish lost in the playoff final last season. A move to Tottenham broke down days before the summer window closed. He put that disappointment behind him to steer Villa to the playoffs with eight games remaining. While showing outstanding loyalty amid interest from Premier League sides over the years, this season could be the playmaker’s last at Villa Park. Tottenham were closest to signing Grealish in 2018. Mauricio Pochettino could return for him this summer but the England U21 international may be better off joining a side lower down the table. Even if Tottenham sell Christian Eriksen, as some suspect they will, Harry Winks and Lucas Moura will vie for the same minutes. West Ham are linked. The Hammers are a better fit, if only for the short-term. Grealish can walk into Manuel Pellegrini's starting XI. The Villa academy graduate can take inspiration from James Maddison [Norwich City to Leicester City] and Harry Maguire [Hull to Leicester City] who turned down bigger clubs to get more playing time at a mid-level outfit. Grealish is young enough to spend two years with a club outside the top-six to prepare himself for bigger things. Gareth Southgate doesn’t often put his foot in his mouth, but he made a surprise admission when asked about Grealish’s chances for a call-up. The England manager revealed he won’t select the Aston Villa midfielder until he’s playing Premier League football, despite managing him for England U21s. Jack worked with us in the Under-21s briefly. The difficulty is always, although we can see the quality. When the evidence of the opponent is a different level, that’s where it’s hard to directly correlate what that is going to look like at a level above. I’m not going to say we won’t pick a player from the Championship because that could happen but it’s far more difficult to assess his level. You see certain parts of the game but not others. Not the physicality at times, nor the tactical discipline. While not playing top-flight football, Grealish enjoys a fine season at Villa Park. He’s scored and created nine goals in 25 league games, whipped in 91 crosses with 20% accuracy, created 54 chances, made 48 passes-per-game with 88% accuracy and boasts 44 successful dribbles [62%]. He’s also the most-fouled player in the Championship. The 120 kicks, barges and stomps he's suffered exceed by 30 the next closest victim, teammate John McGinn. Since Grealish's return from a shin injury that kept him out three months, Villa own a 100% record from four games and are back in the Championship's top six. Influential doesn’t quite cut it. 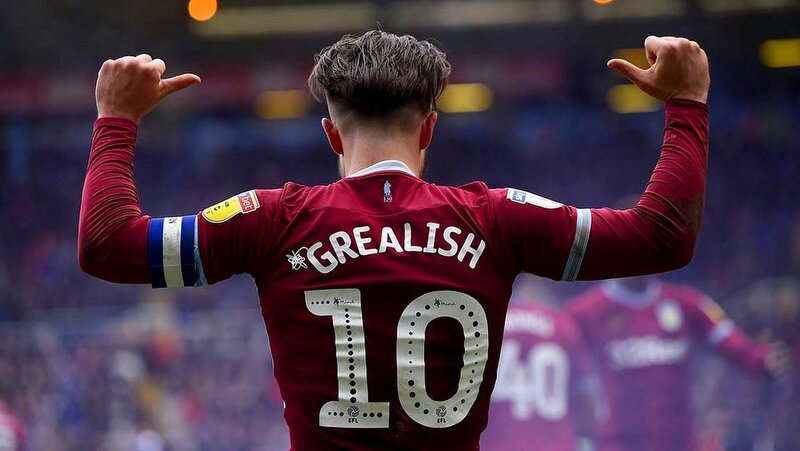 With four years left on his contract and the Villans a well-heeled club, Grealish’s asking price will be astronomical. Tottenham failed with a £25 million bid deal last summer. His value should rise with another impressive season under his belt. Leicester paid £20 million to bring Maddison from the Championship to the Premier League last summer. Regardless, Villa aren’t going to let their best player leave on the cheap. The club’s most lucrative sale was Christian Benteke to Liverpool for £32 million in 2015. Grealish ought to shatter the record. The Birmingham native will leave Villa with a heavy heart although supporters won’t begrudge him a move regardless. He’s been a fantastic servant for the club and has the potential to be an outstanding Premier League player in the future. The future is his to write.